This easy-to-use identification guide to the 280 bird species most commonly seen in Costa Rica is perfect for resident and visitor alike. High quality photographs from one of the country’s top nature photographers are accompanied by detailed species descriptions, which include nomenclature, size, distribution, habits and habitat. The user-friendly introduction covers geography, climate, habitat types, bird species and taxonomy, bird migration and the key sites for viewing the listed species. 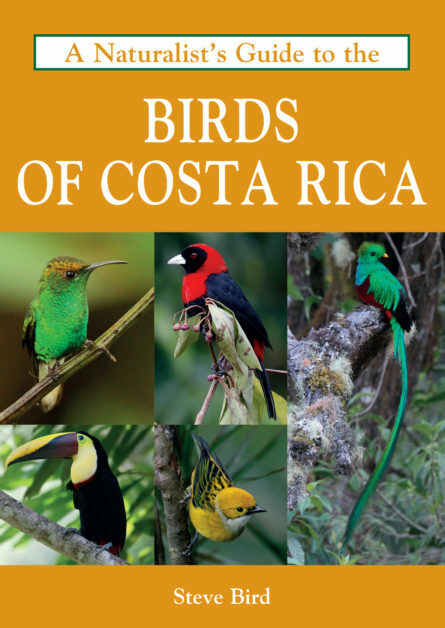 Also included is an all-important checklist of all of the birds of Costa Rica encompassing, for each species, its common and scientific name, and IUCN status. Steve Bird has been birdwatching since he was a small child. He has led birdwatching tours to South and Central America for many years, photographing and documenting the species he encounters. Having travelled throughout the world and accumulated a vast image library, he now enjoys passing on the wealth of information he has acquired.